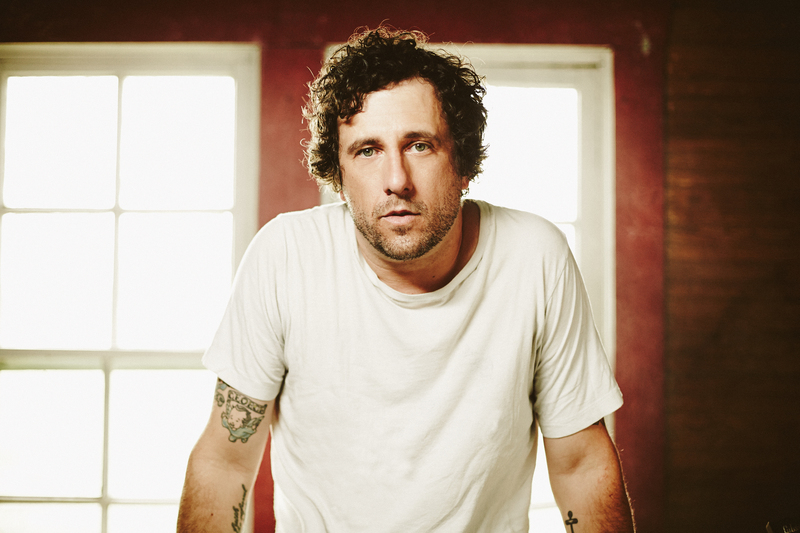 Will Hoge has produced music ranging from Stones influenced Rock n Roll to Americana, Southern rock, and back roots Country. With his ninth album Never Give In he offers country music with grit and soul. What was it like growing up in Tennessee? What are some of your most fond recollections from that time in your life? Great. My dad played music when I was a kid and getting to be exposed to everything going on in Nashville, I always felt like, was an advantage for me. Music is everywhere. Band on The Run – Paul McCartney and Wings. I played the 45 on my Mickey Mouse record player until the needle wore out. Who were some of your biggest influences musically and personally? Hank Williams, Ray Charles, The Rolling Stones. I’m reading the new Johnny Cash bio now and love the control he was able to take in the business aspect of his career. As a guitarist what would you say is your model of choice? I’ve been playing a Gibson 335 (electric) a lot lately. I love it. I’ve got a couple go-to Telecasters that have weathered the storms with me. And my Gibson J-45 is what I write with most of the time. Everything. I love the writing of it, it is therapy. And I love getting to perform those songs and see how people react. What was it like to work with Dan Baird? Had you been a fan of his work prior? What did you learn from that whole experience? I worked with Dan early in my career and it was a great experience. He saw me play one of my first shows and wanted to make a record with me, but I already had a producer. He ended up playing guitar with me for a couple years. He taught me a lot about the business. Do you enjoy producing music that is hard to classify into any one genre? Why do you think your work is so diverse? I don’t really think about what “style” or “genre” it’s going to fit when I make it. I just make it. I think it’s diverse because I didn’t have any boundaries of what I listened to when I was growing up, to me it was just all music. How did the album Never Give In come about? How does it differ most from your previous work? It came about like the rest of my records…I’m always writing. We had a little more time to make this one, which I loved. I think it might be a little more grown up than some of my other stuff…maybe dealing with more adult themes. Your song Strong has gained quite a bit of notice. Why do you think that is? What led you to record that particular track? Our record was finished, but as I said above I’m always writing. That was a song I wrote with my cousin Zach Crowell and Ashley Gorley. The folks at Chevy heard it and made it the focal point of their 2014 Silverado ad campaign. Once that happened, he put it on the record at the last minute as a bonus track. Is there any one moment from over the course of your career that stands out most in your mind? There’s a lot of them. Finding out I was nominated for a Grammy for Song of the Year for Even If It Breaks Your Heart was special. I was on stage in Durham, NC and walked off stage and my manager told me I got a nomination. I went back out for the encore, announced to the crowd and played the song again. How was becoming a father changed your outlook on life in general? In every way. You begin to realize that there’s more to life than just yourself and it really makes you look at your priorities. Nah, I’m pretty straightforward. I like sushi, love my hometown of Nashville, and spend as much time with family as I can. Do you think the public often underestimates the amount of work that goes into being a musician? What do you think, aside from talent, separates the great musicians from the weekend ones? Luck. And, beyond that, perseverance. It’s real easy to give up on a dream when people keep telling you no. We’re really focused on working this record. We’re touring hard thru the spring, summer and fall. I’ve written a bunch, but it will probably be next year before we look at going back to make another record. Thanks to those who come see us night after night. And if you haven’t seen us, come do it.